Here’s a neat trick you can make at home for free. It’s a secret recipe you can try. may unfavorable stain your batter. an exit of women’s rights as well as worker’s rights. Then exude an air of rightness. In the middle of this blend create a valley. Herein lies the deception, the ultimate trick. Tell us how this trumps all your other recipes for living. 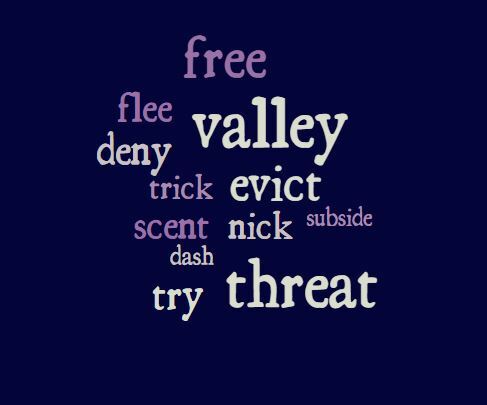 This entry was posted in alienation, corporations, elections, entertainment, evil, global warming, humor, money, poetry, the sunday whirl, voting, Wordle, writing and tagged corporations, poetry, politics, the sunday whirl, wordle by The Writer's Village. Bookmark the permalink. Thanks, but it’s a self-serving recipe. Thank you. Care to share one of your recipes? They look excellent!!!! – if one has the amount of time and attention to detail required to almost overboil potatoes,. not allowing them to mush, separating them patiently, and spending the hours necessary not only to cut them, boil them, callendarize (my made up word) them to cool, bag the rosemary so as not to lose the sprigs, and then oven cook them. I’m exhausted just writing about them and thinking about the process. I’m guessing that you don’t grow your own fruit and veg either, 😉 takes a bit of time for those seeds to become edible. Actually I grow everglades tomatoes, string beans, black eyed peas, green and red peppers, avocados, various citrus, bananas, eggplant, moringa, and star fruit among other things. A triumphant recipe for the cooks but not those of us who have to eat it! An intelligent commentary and poem…Double, double toil and trouble!